Big Ocean Women is a maternal feminist organization dedicated to representing women devoted to faith, family, and motherhood at all levels of civil society. 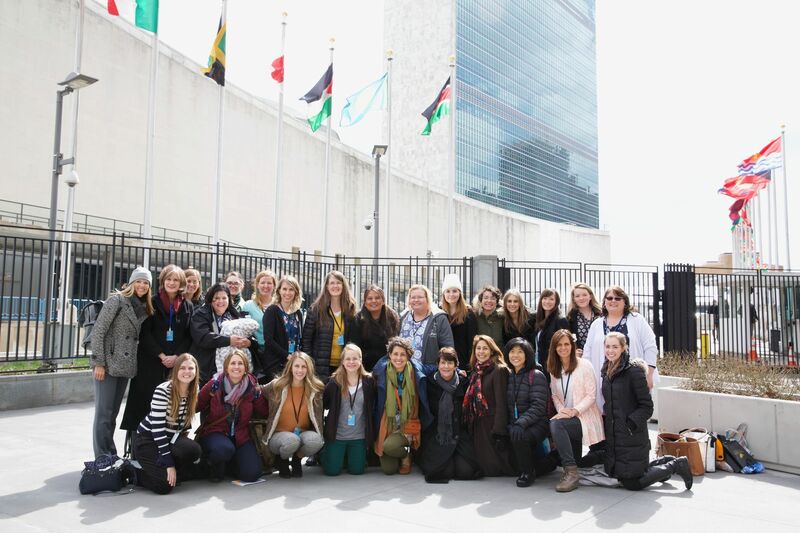 The Big Ocean Women delegation of twenty-five women will attend the United Nation's Commission on the Status of Women in New York from March 14 - 20, 2019. Carolina Allen, Founder of Big Ocean Women will present at CSW63 on March 19, 2019. The priority theme of the 63rd Commission on the Status of Women 2019 is Social Protection Systems, access to public services and sustainable infrastructure for gender equality and the empowerment of women and girls. Addressing this theme, Carolina Allen will deliver a presentation that features the family as the ultimate social protection system. This presentation will include the economics of Family Capital and the Maternal Economy. As the world becomes ever more economically complex and interdependent, entities seek for control of resources and influence. Rather than creating a top down, technocratic, and command style economic solution, Carolina will present how a maternal economy forms the foundation of family capital. A maternal economy is a return to an organic, efficient, and gift based economy that harnesses the power and impact that already exists in families and recognizes the contribution of women to the economic stability of family, community, and nation. As the world’s leading maternal feminist organization, Big Ocean Women network with women from around the world in promoting lasting and impactful changes starting from within and rippling outward. Big Ocean Women embrace the maternal identity, both biological and relational, as a major force for change in the world and recognize this role as a critical change agent. Big Ocean Women work in partnership with global women to create generative solutions within their own families and within their own communities. BY BECOME A MONTHLY CONTRIBUTOR? Big Ocean Women has partnered with Give Lively to securely process your online donation. This transaction will appear on your credit card statement as "Big Ocean Women". This transaction is subject to Give Lively's Terms and Privacy.